An Orphanage is the Home like facility for the children who have lost their parents and no one is ready to take their responsibility. As soon as we hear the word “Orphan”, our stomach sinks at the thought of knowing how the ill-fated children grow up without parents or relatives, totally in a strange environment where in no one is there to shield them against the harshness of society. The Idea of starting an orphanage is very noble, but if you want to do a business out of it, it is an ugly business. An organized Orphanage works as an NGO – Non Government Non-profit organization. As a human when you read an article about orphans, heart aches and generally we get the urge of doing something. Many of us think about it and forget in a while, few goes to the extent of donating some money but very few really put the effort to go beyond and start an orphanage. Are you responsible enough – every mistake you make will affect not only you, it has consequences on the orphans who are depending on you. It is a pledge that whatever may happen, the well being of those kids is to be safeguarded at all costs. Do you have Perseverance – It is quite impossible to run an orphanage with personal funds, until and unless it is backed by some well-established trust. Hence problems like constant fund rising, managing day to day issues, monitoring growth and discipline of kids poses a great threat. Unlike other business it cannot be winded up overnight. 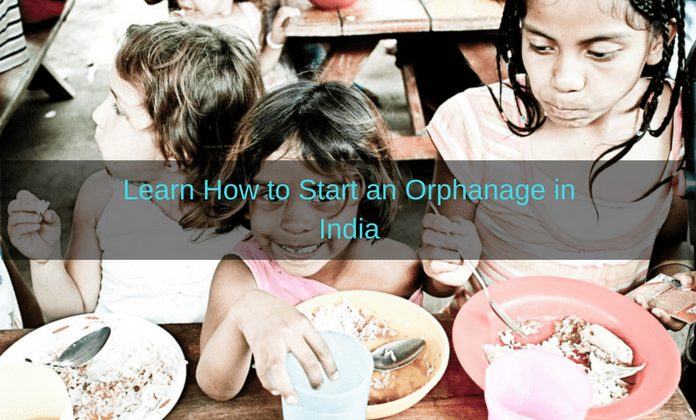 To boost the novel idea of starting up on Orphanage, here are the 8 basic technicalities. Place: First thing is to have a piece of property registered in the Orphanages name, if it’s not budgeted the alternative is to lease the property for the long term say 15- 20 years. Re model the place to suit the children’s need with Safe play area, dining room, prayer room and Library. Set up all the facilities before Orphan children are welcomed. Legality: All Orphanages in India should be registered under the ‘’ Care and protection of children act under Juvenile Justice. Get in contact with District social welfare officer for more details on the process. Also get familiar with “Law of child adoption, Guardian and custody”,” Basic education act” etc. It is better to consult a lawyer to be sure that every legal attribute is taken care, just to avoid future consequences with laws. Pan No. and Bank Ac: Register the orphanage for PAN number under Tax Free Status. Also open a bank account to have the track of donations and Expenses. 80 G Certificate: Consult a chartered accountant and get the 80G certificate, so that donor can avail the benefit of Tax exemption. Register under FCRA: If you wish to get the foreign contribution to develop your orphanage, creating an FCRA account under – Foreigners contribution regulation act is a must; it is done through Ministry of Home affairs. Fund rising: Lot of fund will be required to run an orphanage, the need of fund increases more with the growth of orphanage. Self-funding will not be sufficient for long run, hence there is an option for bank loans. Be ready with the detailed project report with all minute details as bank demands it for processing the loan. Another considerable idea is, over a period of time establish associated income generating business to self-sustain the orphanage. Network – Have a good relationship with political house, police department, journalist, human right activist and other social organizations who will help in getting the funds as well as bringing the orphans. Coworkers – Recruit few service oriented employees based on your budget. It is quite difficult to get efficient, trust worthy people who can work for cheap, but it is not impossible. Minimum 2-part time, one cook and one housekeeping staff along with care taker working 24 hours around the clock is must to start. Later, based on need, an accountant, consultant Lawyer, accountant can be hired. Even after fulfilling all the required technical aspect to start an Orphanage, one has to face lot of hindrance in managing day to day activities. However, over a period of time lot of things will be learnt, tasks become familiar, children get settled and it becomes easy to concentrate on improving the orphanage. It is advisable to visit few established orphanages to understand its working model, read related books to acquire more knowledge and information. Start up with 2- 3 kids initially and understand the intricacies involved, later orphanage can be gradually expanded. Running the orphanage is just like the running the house, your role will be exactly like a Mother. Start an Orphanage, feel the joy of service and feel the bliss. Three to four of volunteers can do this, me on most interested on this …..
God bless you for such detailed information that you’ve given with so much in-depth knowledge and sincerity.. Thank you.. I am planing to open an orphanage if anyone is interested pls contact and this is will be very helpful for me also. Actually I am 18yrs old I have a big dream to build orphanage home and this gave me a lot information gathered thanks a alot….